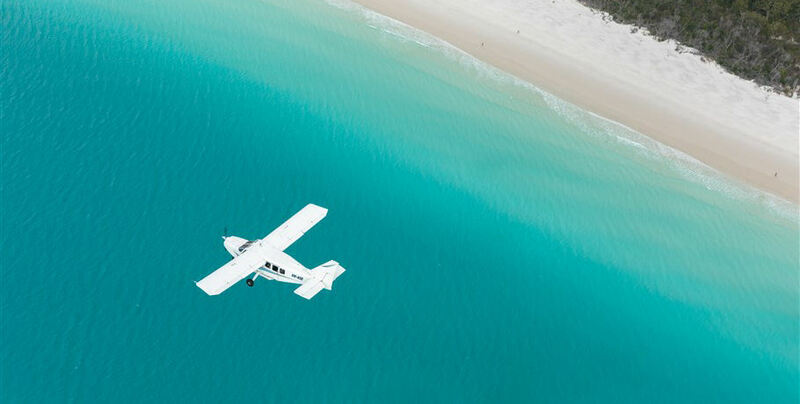 Experience a 60-minute aerial spectacular with views over the most iconic Whitsunday locations. 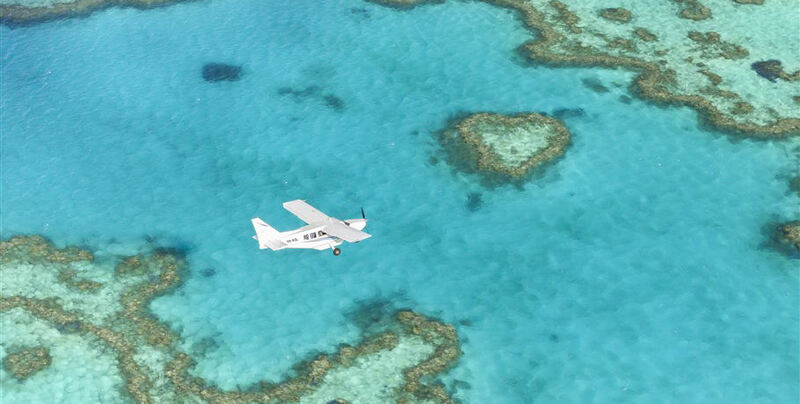 You will fly to the outer Great Barrier Reef to the beautiful Heart Reef- best viewed from the sky- and up the 7km stretch of white sand that makes up Whitehaven Beach. 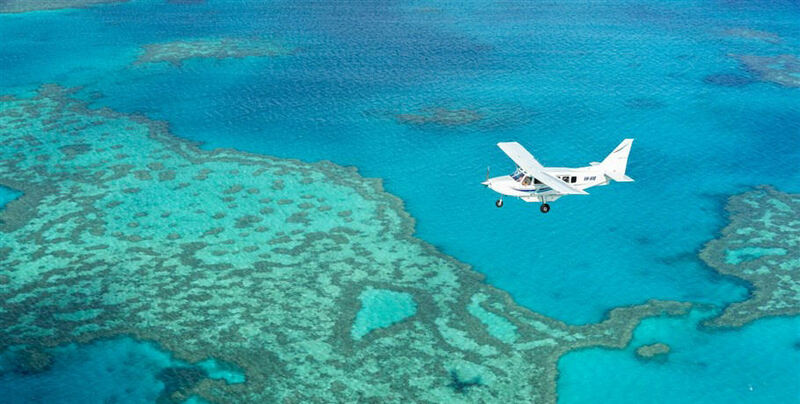 These incredible aerial views will be the highlight of your North Queensland trip! 2. The friendly Ocean Rafting crew will greet you and check you in for your flight. After a short safety video, you will be shown to the runway where your aircraft awaits. 3. 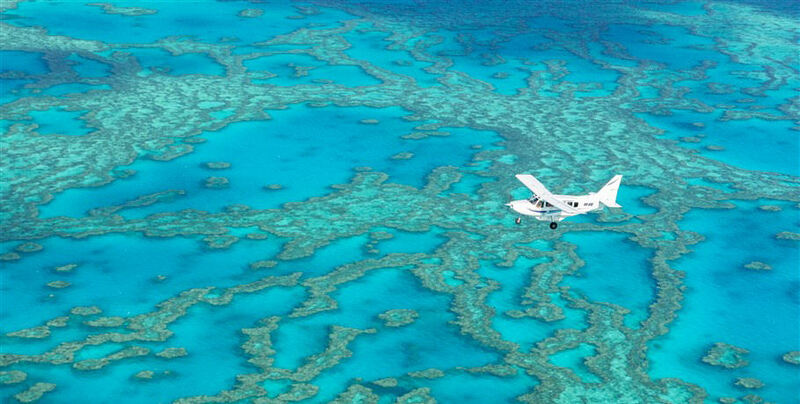 Take off from the airport straight to the outer Great Barrier Reef! 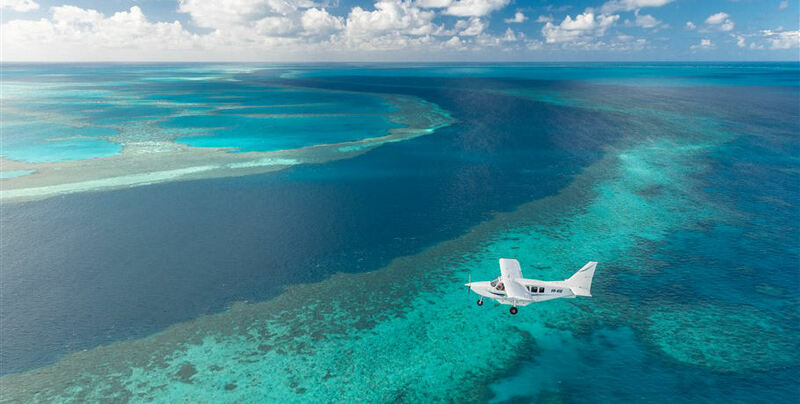 You will see the beautiful turquoise ocean surrounding the stunning and famous Heart Reef- don’t forget to capture that perfect memory! 4. 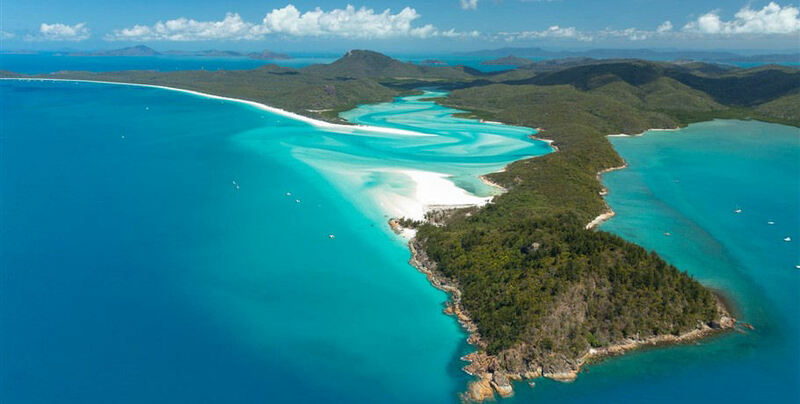 Fly home via the iconic Whitehaven Beach- a 7km stretch of pristine white sand- and the magnificent swirls of Hill Inlet. 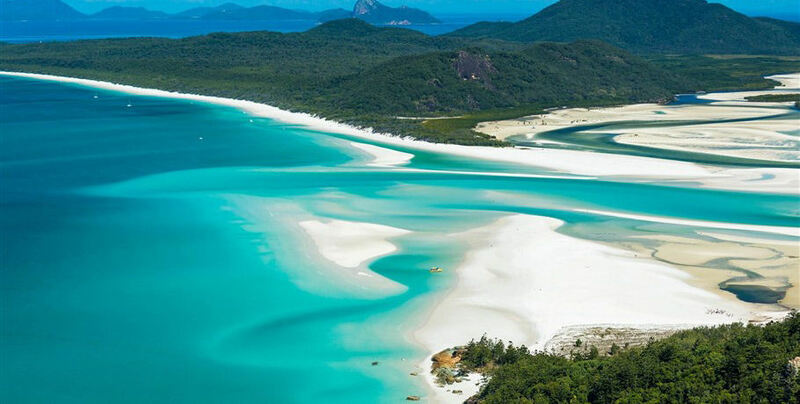 Enjoy the eagle-eyed view of this wonderful part of the world! 5. 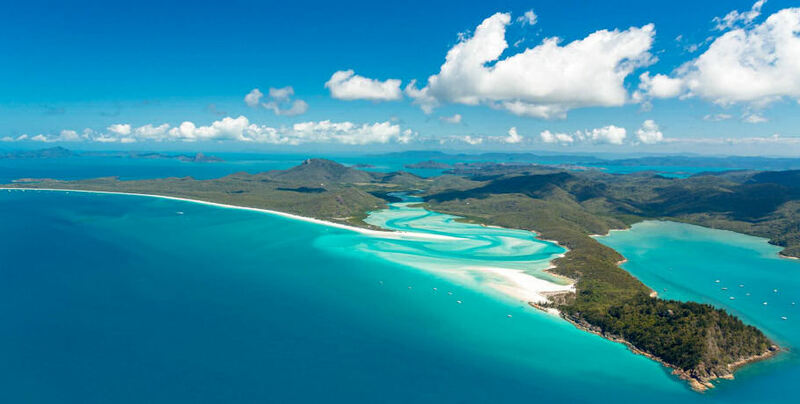 Home to the Whitsunday Airport where your courtesy bus awaits to return you to your Airlie Beach accommodation. Minimum numbers of four passengers for flights/flight packages apply. Flights are subject to pilot discretion, weather and air traffic control. For legal and safety reasons all passengers are weighed prior to boarding. Individual weights in excess of 110kg will incur an extra seat surcharge. Maximum per seat weight is 130 kgs. 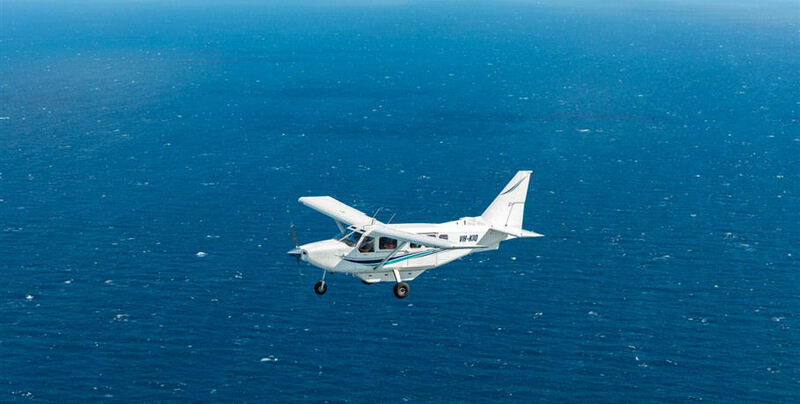 Pick up transfers for scenic flights only collect guests from their mainland accommodation and drop off transfers are always to Abell Point Marina, with the exception of the last flight of the day, which may return guests to their mainland accommodation. Cancellation Policy: 100% cancellation fee applies for cancellations after midday the day prior.